Custom Onesie. Grandpa. Several colors available. 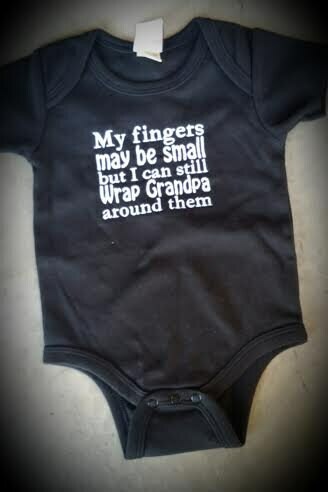 Onesies run true to size and are available in these sizes. Came out just as promised. Thanks great work. Fast shipping. I would order again. Quality merchandise.